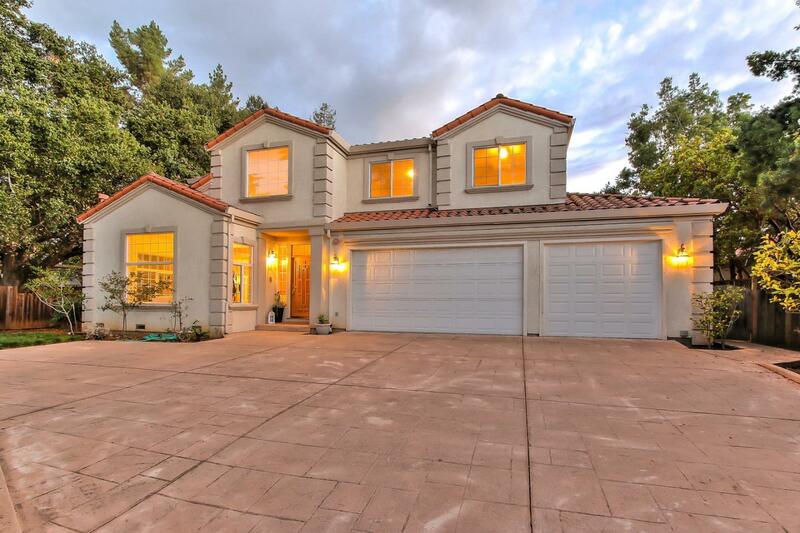 Welcome to 22416 Cupertino Road - Situated in the Foothills of Cupertino with Award Winning Cupertino Schools. This Well Maintained and Much Loved Home has the Most Functional Layout with a Ground Floor Bedroom + Dedicated Full Bathroom and Two Master Suites Upstairs with Two Spacious Auxiliary Bedrooms. Private Flag Lot, Featuring Dual Zone Heating + Cooling, Central Vacuum, Professionally Cleaned Plush Carpet, Newly Installed Modern Wide Plank White European Oak, Stunning Great Room that Opens to the Spacious Kitchen Equipped with Double Ovens, Pots and Pans Hanger Over Island, Five Top Gas Cook Top, Separate Built-In Griddle and Custom Cabinets. In Close Proximity to Starbucks, Cupertino, Saratoga, Los Gatos and Shopping + Dining with Easy Access to 85, 280, 101, Lawrence Expressway.